Thanks to the excellent DAC design in iPhone/iPod/iPad's Line out and the digital output circuit, iPhone/iPod/iPad becomes a high-end CD transport. 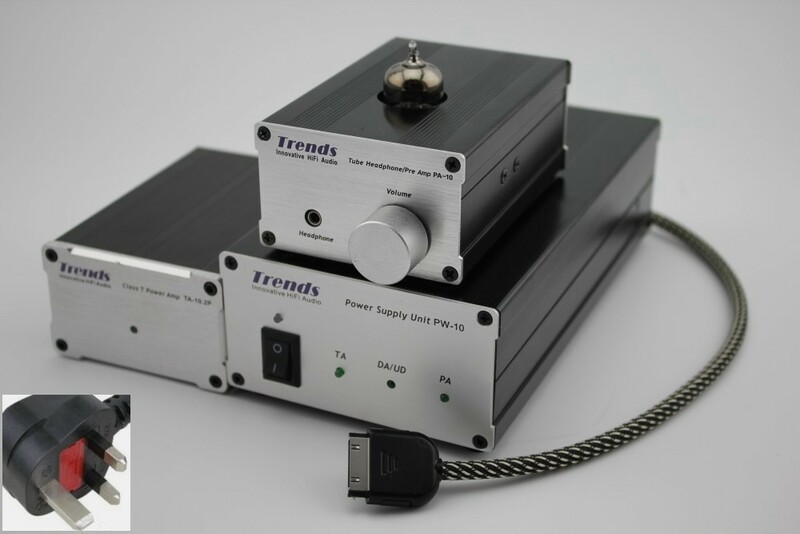 Just hook up your iPhone/iPod/iPad’s Line Out cable and connect with unique PC/iPod input (6X with higher gain) in Trends PA-10 Tube Headphone/Preamp and Trends TA-10.2P Class-T Power Amplifier, making Trends iCombo Hi-Fi System perfect for integrating the iPhoneiPod/iPad into the audio system and achieves the tube sound quality of high-end Hi-Fi with affordable price. - Trends CQ-121 Audiophile Audio Cable(0.47M)(1 pair) x 1 pcs.